When will be Sin City ER next episode air date? Is Sin City ER renewed or cancelled? Where to countdown Sin City ER air dates? Is Sin City ER worth watching? Sin City ER reveals the untold stories of one of the busiest and most unique ERs in America. Working at the heart of Las Vegas, the staff of University Medical Center (UMC) have seen it all, and now viewers will too. 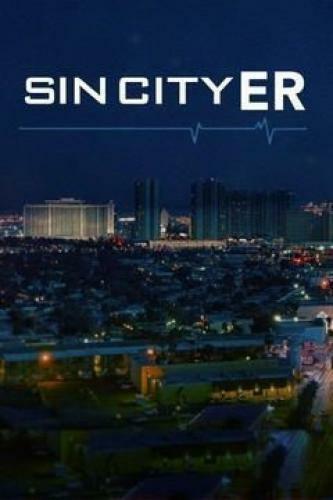 From 911 operators and first responders to ER personnel and the victims themselves, Sin City ER provides an insider's look into these heroic tales of survival and how medical professionals saved lives in high stake situations behind the glitzy exterior of Las Vegas. A shootout leaves a police officer clinging to life; a cowboy and cupid help a she-devil in distress; a zip-line guide falls 80 feet to the canyon floor. Doctors retrieve a stolen Rolex from a very private spot; a pick-up turns deadly when a cabbie is shot multiple times; a dirt-bike accident in the desert leaves a 52-year-old thrill-seeker clinging to life. A brutal assault could end a star athlete's career, a 28-year-old man is hit in the head by a flying baseball bat; and a Vegas chef falls asleep with a loaded gun. Paramedics rescue a 25-year-old man from a burning vehicle; an out-of-control car smashes into the patio of a restaurant; and a Vegas ventriloquist narrowly escapes death in a head-on collision. Sin City ER next episode air date provides TVMaze for you. EpisoDate.com is your TV show guide to Countdown Sin City ER Episode Air Dates and to stay in touch with Sin City ER next episode Air Date and your others favorite TV Shows. Add the shows you like to a "Watchlist" and let the site take it from there.